TOYARK.com has received new Exclusive images of upcoming G.I. 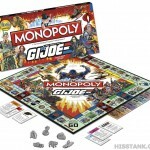 Joe Monopoly Collector’s Edition Official Game Board. 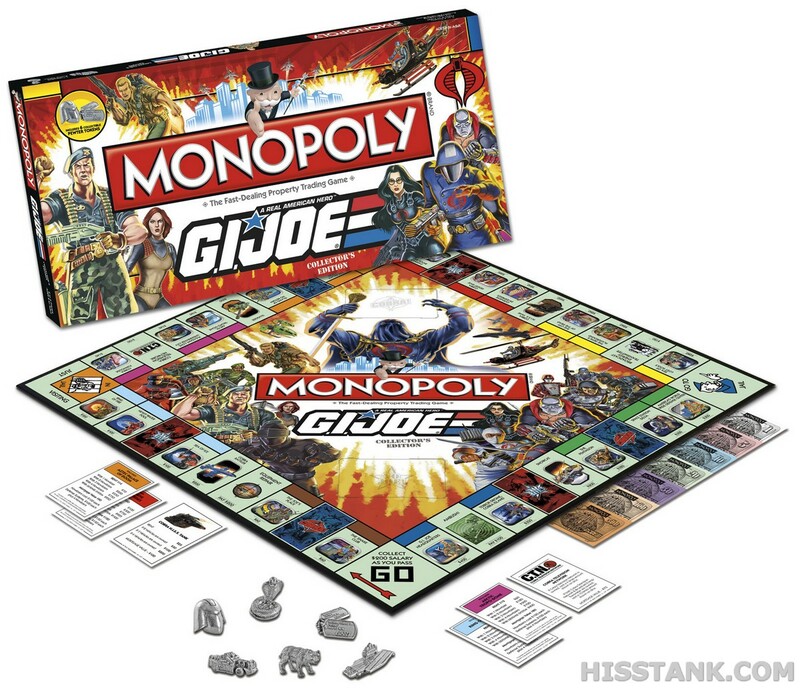 USAOPOLY began in 1994 with a great idea for a hometown spin on the classic MONOPOLY game. After securing permission from Hasbro to license the world famous property trading game from Parker Brothers, the San Diego edition of the MONOPOLY game was born, and so was USAOPOLY, Inc. We started with cities, colleges and popular themes like NASCAR, COCA-COLA and The Simpsons. Over 100 different specialty editions later, USAOPOLY started putting spins on other timeless games we all know and love to play like Chess, Checkers, Tic Tac Toe, Dominoes, Backgammon, Bingo, Cribbage, Poker and Bunco. For over 10 years now, friends and families have been able to rediscover their favorite board games… with a fun, unique USAOPOLY twist. Discuss on the Toyark Forums› Views: 4391 › Credit: General Hawk59 of the Toyark Forums! I wish I had this game when I was a kid!